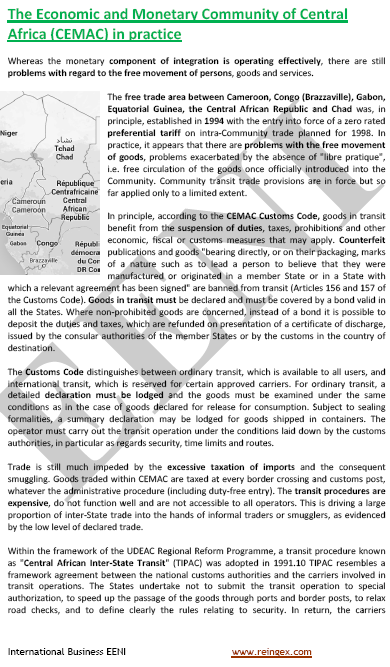 Syllabus of the Online Course (Subject): Foreign Trade and Business in Gabon. Libreville. (*) Only available in French. The course materials are available in of Gabon Gabão Gabón. 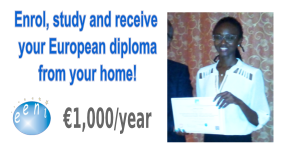 Description of the Course / Subject (Doing Business in the Gabonese Republic). 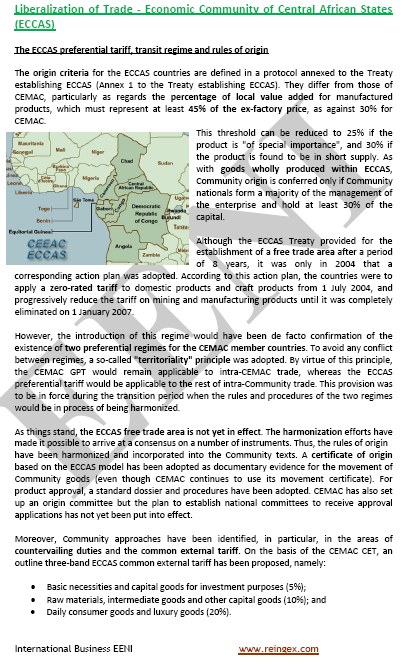 Gabon: a strategic position in Central Africa. 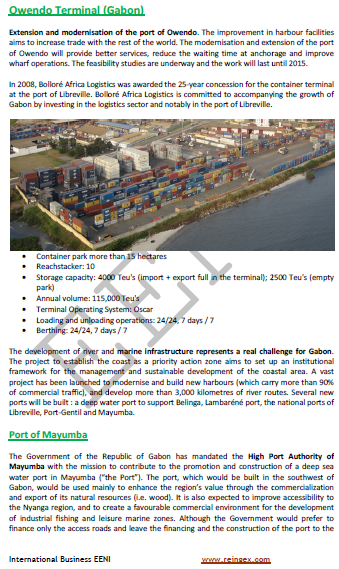 More information about Gabon (African Portal - EENI Business School & HA University). 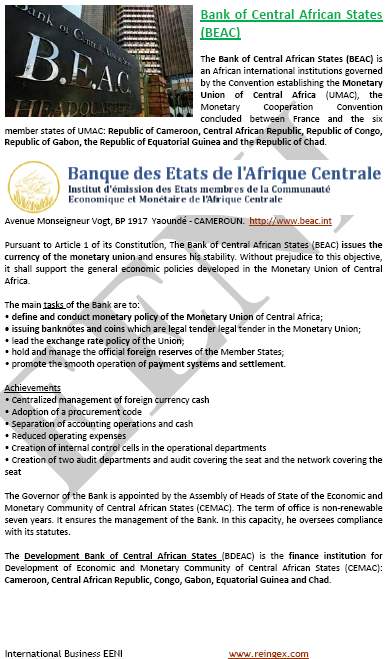 Gabon belongs to Central African Economic Area (African Civilisation). 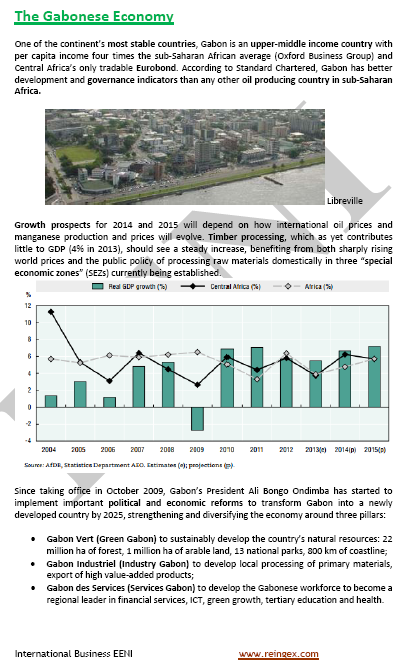 Gabonese Economy: Petroleum, timber, and manganese. To guarantee exploitation of its natural resources, Gabon has put in place a legal and fiscal framework for Foreign direct investment (FDI). The Industrial Society of Gabon is a limited company with a capital of 950 billion CFA francs. Created in Libreville in 1975, SOGI is a leaderin Gabon in the construction sector industrial and one of the first players in the Central African region.